An area Steuben County resident had a special honor Friday night. A presentation was made by Indiana State Representative Denny Zent, U.S. 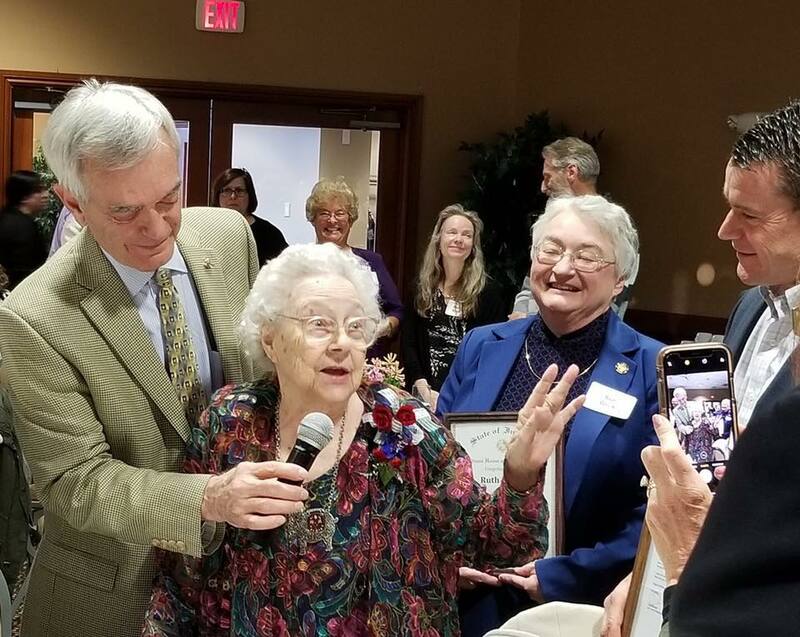 Senator Todd Young, State Senator Sue Glick and many other elected officials to recipient Ruth Hill in celebration of her 90th Birthday. Hill received a special letter from Dan Quayle, the 44th vice president of the United States. Hill was a supported of Quayle's campaign when he was a U.S. representative from 1977 to 1981 and was a U.S. senator from 1981 to 1989 for the state of Indiana. The presentation took place at the Steuben County GOP Lincoln Day Dinner held at Glendarin Hills Golf Club.